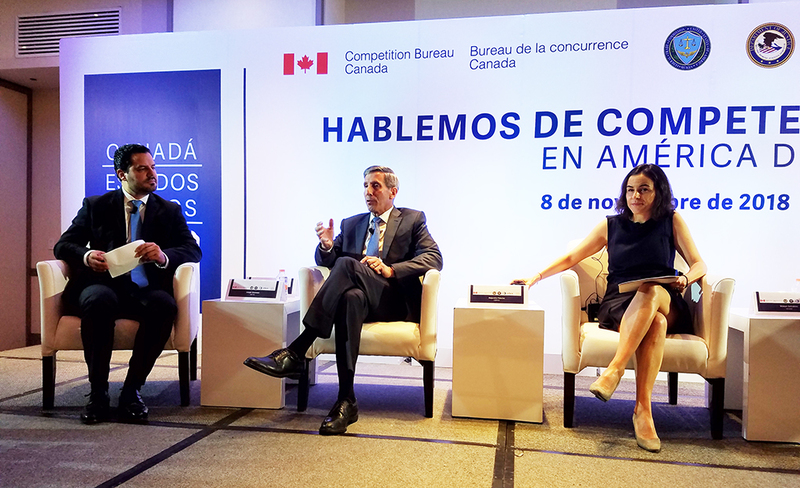 Mexico City, Mexico - Antitrust agency heads from the United States, Canada, and Mexico meet in Mexico City to discuss their ongoing work to ensure consistent and effective antitrust enforcement and increased cooperation among the three nations. The meeting includes Federal Trade Commission Chairman Joseph J. Simons, Assistant Attorney General Makan Delrahim of the U.S. Department of Justice Antitrust Division, Canadian Acting Commissioner of Competition Matthew Boswell, and President Alejandra Palacios of the Mexican Federal Economic Competition Commission. FTC Chairman Joseph J. Simons meets with antitrust counterparts in Mexico City. The discussions will cover a wide range of topics including developments and priorities, challenges for enforcers in times of antitrust populism, and procedural fairness in antitrust investigations. The officials also are exploring ways to deepen cooperation and convergence on sound antitrust principles. The 1995 cooperation agreement between the United States and Canada, the 1999 agreement between the United States and Mexico, and the 2001 agreement between Canada and Mexico laid the foundation for these meetings. The agreements commit the agencies to coordinate and cooperate with each other in an effort to ensure the most consistent and effective antitrust enforcement.